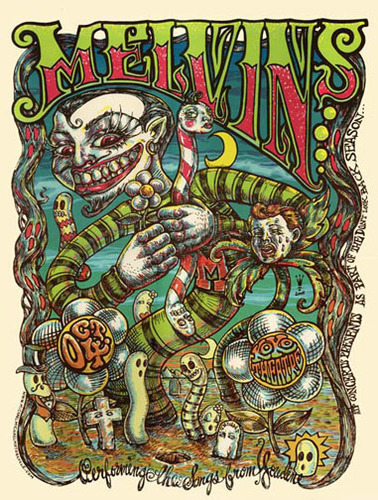 Melvins performing 'Houdini'. Live at KOKO, London, 4th October 2005. Limited edition screen print designed by Michael Motorcycle.